Preheat oven to 400°. Mix first four ingredients. Stir in artichoke hearts, spinach, mozzarella cheese and 3 tablespoons Parmesan cheese. Place mushrooms on foil-lined baking sheets, stem side up. Spoon about 1 tablespoon filling into each. If desired, top with additional Parmesan cheese. 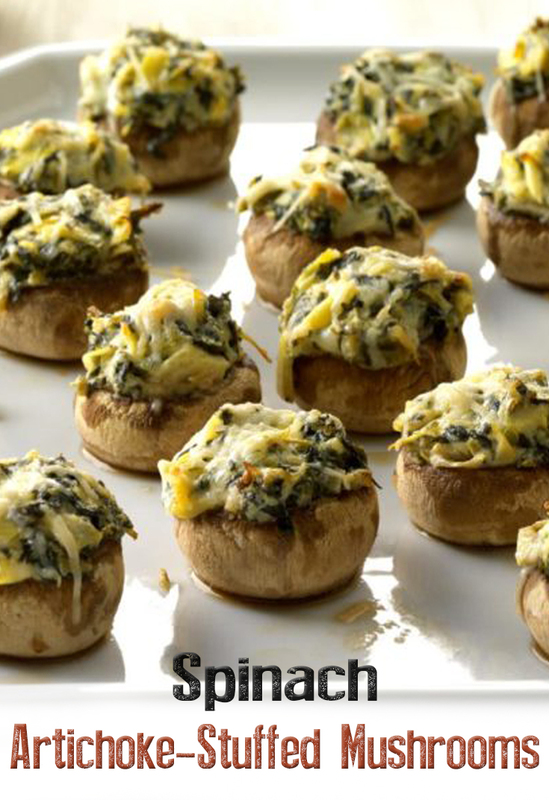 Bake until mushrooms are tender, 16-20 minutes.